Recent years have witnessed rapid development of Internet of Things (IoT), which drives many applications such as urban computing, unmanned supermarket, smart house, smart logistics, etc. The ubiquitous sensors and GPS devices installed on smartphones have been utilized as basic IoT infrastructure to support these distinct applications, reshaping human behaviors as well as the relationships and interaction patterns between human, things, and the environment. As all the things are connected in a network enabled by IoT infrastructure, the status of each object can be monitored in real-time, which opens up new perspectives for traditional management and poses great challenges for operational and managerial decisions in real business scenarios. Indeed, the marriage of IoT and management suggests the possibility of an unshaped yet tangible new scientific paradigm. On one hand, data is generating in million-second scale from IoT infrastructure, which can help disclose behavioral patterns and corresponding working conditions and thus calls for detailed data management and analytical solutions. On the other, management and decisions can be operated in a more delicate way, because the granularity of control can be as tiny as each monitored object, which calls for more research on new management problems aroused by the proliferation of IoT, including decision process, scheduling strategies, quality control, value creation, etc. IoT applications in smart city, smart house, etc. Submissions will be evaluated on a "first-come-first-served" basis. The manuscripts submitted before the deadlines will be reviewed and notified ahead of the schedule. The submitted papers will be evaluated based on their originality, presentation, relevance and contributions, as well as their suitability to the special issue. The submitted papers must be written in English and describe original work that has not been published nor currently under review by any journals and conferences. Previously published conference papers should be clearly identified by the authors at the submission stage and a summary of changes should be provided about how such papers have been significantly changed and extended to be considered for this special issue. Papers that either lack originality, clarity in presentation or fall outside the scope of the special issue will be rejected without reviews. Submissions need to conform to the layout, format limits in Frontiers of Computer Science (FCS). The submitted papers will be reviewed by at least three independent reviewers. Final decisions will be approved by the journal editors. Manuscripts need to be prepared for publication according to the journal’s Author Guidelines available at FCS. Please select “IoT enabled Business Data Analytics” tag when you submit your paper, and indicate “Submission to Special Issue on IoT enabled Business Data Analytics” in the cover letter. 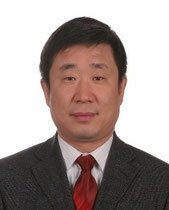 He is currently a Full Professor in the Information Systems Department, School of Economics and Management, Beihang University, Director of the Research Center for Data Intelligence (DIG), and Vice Director of the Beijing Key Laboratory of Emergency Support Simulation Technologies for City Operations. His general area of research is data mining and complex networks, with special interests in social, urban and financial computing. He is the recipient of various national awards in China, including NSFC Distinguished Young Scholars, MOE Changjiang Young Scholars, and MOE Excellent Doctoral Dissertation. 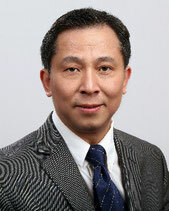 He is currently an associate professor of School of Computer Science and Engineering, Beihang University. He is the leader of the Beihang Interest Group on Smart City (BIGSCITY), and Vice Director of the Beijing City Lab (BCL). His general area of research is data mining and machine learning, with special interests in smart cities, finance and healthcare data analytics. He is a Professor of Management Science at Dalian University of Technology, China, “Distinguished Young Scholars” of National Natural Science Foundation of China (NNSFC), “Chang-jiang Scholars Distinguished Professor” of Ministry of Education (MOE) of China, New Century Excellent Talent of MOE of China, Life fellow of International Society of Management Engineers. His research and teaching interests are Electronic Commerce, Supply Chain and Logistics Management, Intelligent Operations Research and the Real-time Optimization Control for Dynamic Systems. His research has been supported by a number of national grants, including the Creative Team Project of MOE and the Creative Research Groups of NNSFC. 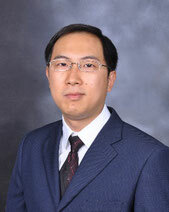 Currently, Dr. Hu serves on five journal editorial boards. He is currently a Full Professor and Vice Chair of the Management Science and Information Systems Department, and the Director of Rutgers Center for Information Assurance at the Rutgers, the State University of New Jersey. 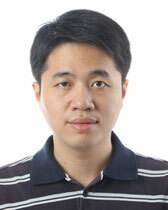 His general area of research is data and knowledge engineering, with a focus on developing effective and efficient data analysis techniques for emerging data intensive applications. He is a co-EIC of Encyclopedia of GIS, an Associate Editor of IEEE Transactions on Data and Knowledge Engineering (TKDE), IEEE Transactions on Big Data (TBD), ACM Transactions on Knowledge Discovery from Data (TKDD), and ACM Transactions on Management Information Systems (TMIS). Frontiers of Computer Science, an international academic journal in English, was launched in February, 2007. FCS publishes latest research findings of computer science. Co-administrated by Higher Education Press and Beihang University, this journal has been indexed by SCI(E) and EI. As a high-quality international academic journal, FCS has been successfully selected into the “International Influence Promotion Project for Journals of Science and Technology in China”.